← Merry Christmas from Chippy News! Chippy’s own Jo Graves has been awarded a British Empire Medal (BEM) in the New Year’s Honours. Jo, who many will know as a Chipping Norton Town Councillor of two decades’ standing, and as Mayor of the town during the Golden Jubilee and Town Appraisal, was awarded the medal for her services to the community. A former teacher, Jo is and has been actively involved in the community in many ways, including as a lead member of St Mary’s Church and as a foundation governor of St Mary’s Primary School. 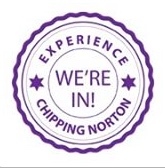 She is chair of the Chippy hospital League of Friends and trustee of Home-Start Banbury and Chipping Norton. She is also involved with The Children’s Society. Post updated on 2 January: we incorrectly followed other media in reporting that Jo had been awarded the MBE, when in fact she had been given a BEM. Apologies for the mistake. This entry was posted in local people, news and tagged Chipping Norton, community, government, Home-Start, MBE, New Year's Honours, Oxfordshire, St Mary's Church, St Mary's Primary. Bookmark the permalink. Well deserved reward to a fine lady.